The royals just shared a candid photo to celebrate Prince Charles birthday. 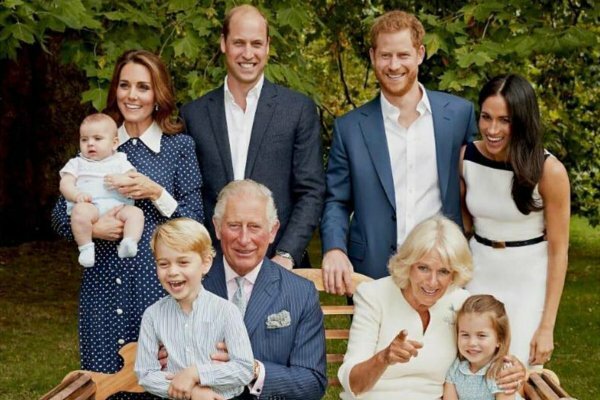 The royals have released new family photos and one detail is raising questions. Celebrating the 70th birthday of Prince Charles, Kensington Palace have released not one, but two photos of the king-to-be with his two sons, their wives and his grandchildren. And the royals have decided to go for an unusually candid look. The photos were taken by Getty photographer Chris Jackson who’s spent the last 15 years of his career taking snaps of the Prince of Wales at both national and overseas engagements. Sharing the images, Jackson had this to say about the rare candid photo which were taken in the Queen’s own backyard at the gardens of Clarence House. “I was delighted to have been asked to take these official portraits of The Prince surrounded by his family to celebrate the important milestone of his 70th Birthday,” he wrote. Looking at Meghan Markle’s baby bump – or lack there of – we’d say the photos were taken a few months back. While we think both photos are absolutely delightful, we have just one question over the candid snap – what exactly are they laughing at? Did they hire a clown to keep the family entertained? Is Prince Philip pulling faces again? Judging from the fact that everybody is looking in the same direction – except for Prince William, bless – it’s obvious that something was clearly happening and the family wasn’t just told to look yonder. Many royal fans are also asking the question in the comment sections of the photos, but as of yet, we have no answers..
What do you think has got the attention of the royal family? Theories in the comments below please. Growing up royal with Prince William and Prince Harry. They’re a bit cute, aren’t they?